From time to time you stumble upon a debut EP or album that really hits the nail on the head. 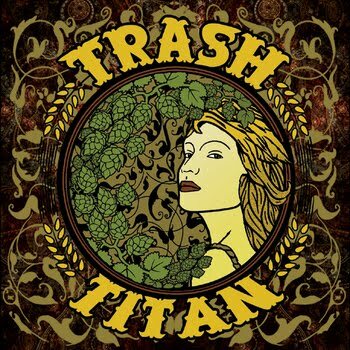 Kamni, Wo Fat and Artimus Pyledriver have all recently shared this accolade in my opinion, but now Trash Titan can be added to the list. Its dirty southern sounding bluesy stoner rock at its best. Every track oozes groove and an underlying ability to get your feet tapping, something so simple yet quite often either doesn't quite hit the mark or is entirely missing from bands that fit into this genre. Its a quintessential formula and these guys sure have got it. Tight and well mastered, you really have to give this EP a listen. I just hope they can keep up the good work and knock out and equally quality full length album in the near future. You can either head over to Band Camp or follow the link below to download the EP. <check out bands on the left... Artimus Pyledriver, Red River Revival, Daredevil, Howler Toad, Lo-Pan, The Heavy Eyes, The Shooters and Wo Fat. I reckon you'll dig that stuff. also have a look for Red Fang, Motorcity Daredevils, orange goblin and thunder rider.